Memento (2000) – What's New on Netflix Canada Today! 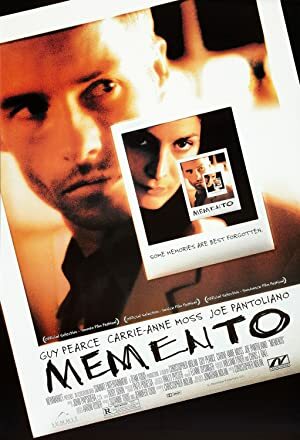 Memento chronicles two separate stories of Leonard, an ex-insurance investigator who can no longer build new memories, as he attempts to find the murderer of his wife, which is the last thing he remembers. One story line moves forward in time while the other tells the story backwards revealing more each time. Suffering short-term memory loss after a head injury, Leonard Shelby embarks on a grim quest to find the lowlife who murdered his wife.